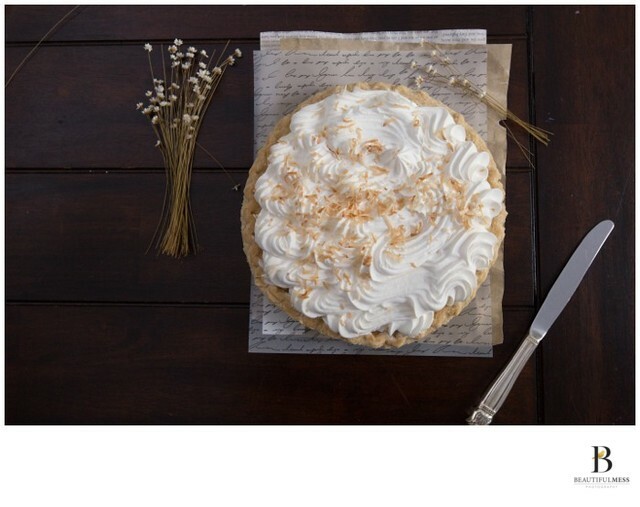 Fine art food photography of a coconut cream pie, styled and photographed by commercial photography, Beautiful Mess Photography, shot in natural light. We strive to capture beautiful unique images that will bring your brand to life. Location: 7227 Moller Ave Maplewood MO 63143.